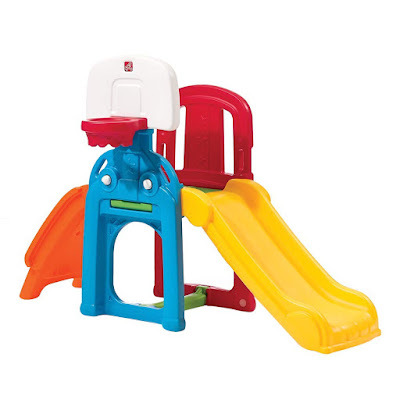 Step2 Brand is a USA based toy brand that manufactures indoor and outdoor toys. These toys foster children from infant to toddlers for learning and development through creative play. Also, encourages kids for fun playing and physical exercise. Step2 is one of the best brands for preschoolers and toddlers toys and the worlds largest rational moulders of plastic. Here we reviewed top step 2 toys for kids in 2019. These toys are good for spring and summer season, kids play for hours freely and enjoyed it. Step 2 Naturally playful stand table is totally fun for kids it includes 2 shovels, 2 claws rakes, and a bucket. 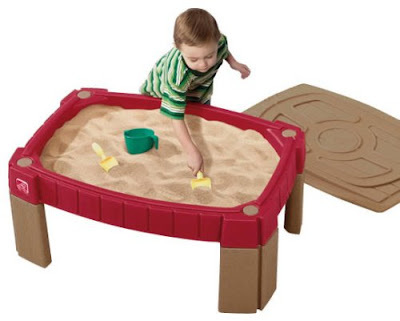 This sand table holds up to 18 kg Sand that provides multiple hours of creative play and encourages the kid's imagination. 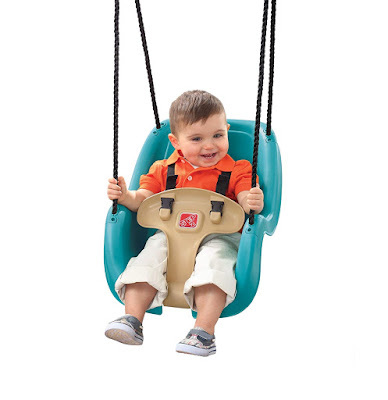 Step2 Infant to Toddler Swing easy loading and comfortable seat for baby and tots. They can swing back and forth by pushing from mom and dad for fun as well as promotes gross motor skills. 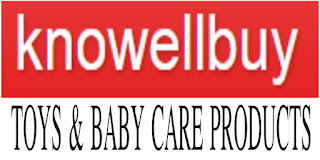 It helps in learning and developing children from toddlers to school-age years. 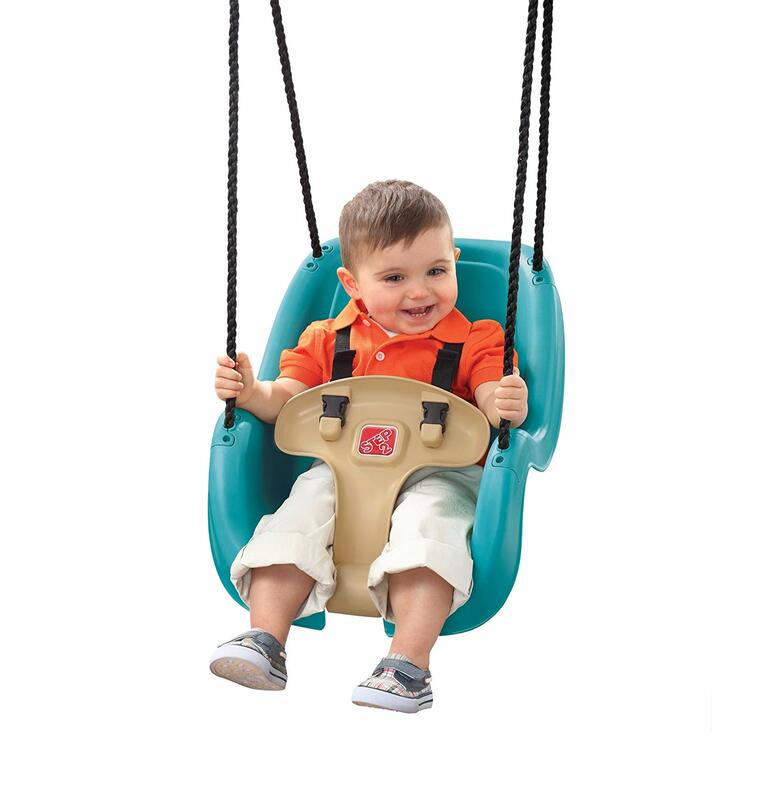 The swing comes with weight limit 50 lbs (22.6 KG), weather resistant rope, easy to clean seat. 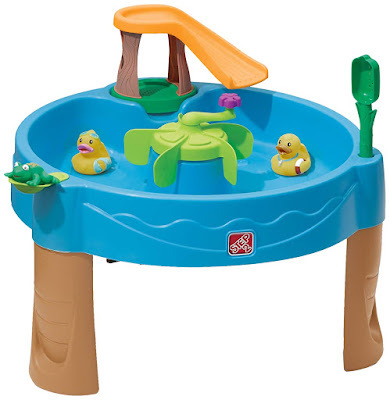 Step2 Duck Pond Water Table promotes sensory skills and helps kids development. The Step2 Pond water table comes with a slide, along with center spinner for water swirling and Squeeze rubber duck and frog for splashing around in the water. The Water table holds up four gallons (15 litter). 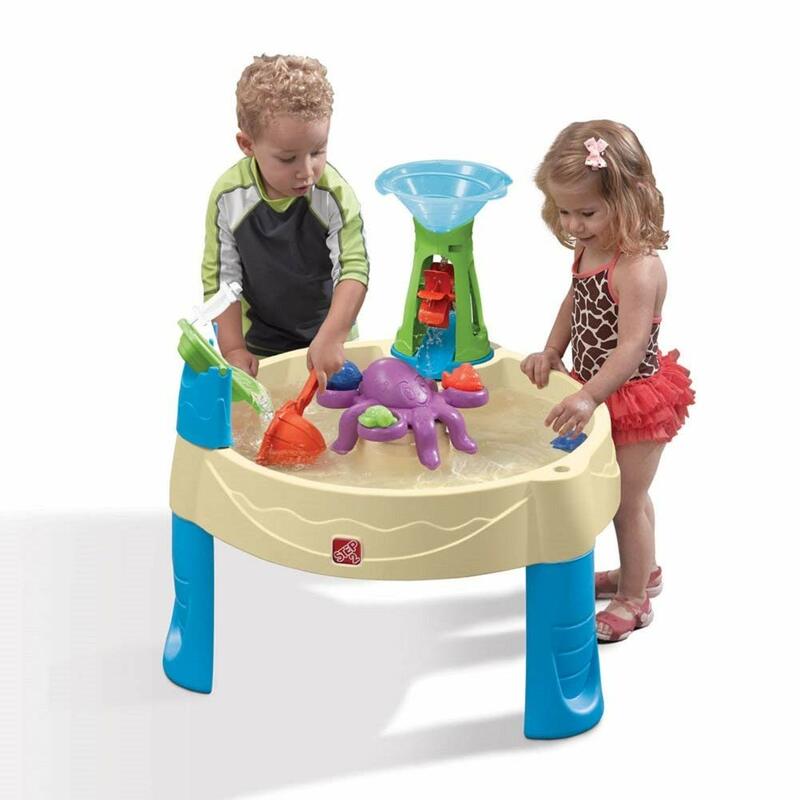 The water table has a convenient drain plug for draining when play time over.